Windows Azure + Windows Phone 7 = Better Together! Find out why on Monday May 16 @ TechEd in Atlanta – at the FREE After-Hours Dinner-Included Hackathon! Don’t miss this opportunity to get hands-on help with your Windows Phone 7 app, from the experts! 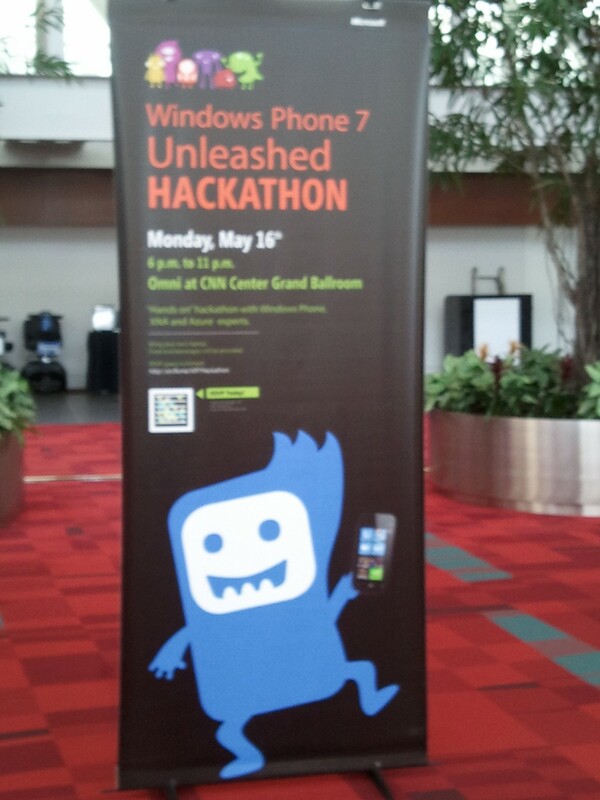 This is a “hands on” hackathon where you will learn from Windows Phone 7, XNA and Azure experts how to build, scale and publish your Windows Phone 7 app or game. If you are just a beginner, or already have apps in the Marketplace this event should not be missed. Come hear about new developments that will help you combine the power of the Windows Phone with the Windows Azure cloud platform. BYO Laptop! And prepare yourself for an energetic evening of fun, learning, and accomplishment! Food, beverages and refreshments will be provided. This entry was posted in Azure, Windows Phone 7 and tagged Hackathon on May 15, 2011 by Bill Wilder. I encountered the following mysterious error while trying to install the Zune software to my Windows 7 desktop. What does this Zune error message mean? Can’t find the media for installation package ‘Windows Media Format SDK’. It might be incomplete or corrupt. But Visual Studio 2010 was NOT yet willing to allow me to run the Windows Phone 7 emulator to test and debug my Windows Phone applications. I saw the following additional (but improved!) errors from Visual Studio. Okay… now back to Windows Phone 7 development – of course, with a Windows Azure back-end using the Windows Azure Toolkit for Windows Phone 7. This entry was posted in How To, Programming, Step-by-Step, Windows Phone 7 and tagged troubleshooting, Windows Phone on May 11, 2011 by Bill Wilder.